Traditions are great and I love that we can make our own up for our family such as our post-travel breakfast dates. The thing about traditions is that you have to find ones that work for you and your family, and forget the rest. I think it is funny how there is pressure on anniversaries to celebrate with the “traditional” theme of whatever material thing represents how long you were married. While it seems funny, it is also a good jump starting point to creatively think about a gift for your spouse. We just celebrated year 3 in our marriage and Conner went the traditional route. I can’t really make fun of him for doing it though, because he gifted me the perfect “leather” gift to represent our marriage: A leather journal. I love journaling, especially my prayers, so the fact that it was leather and had a cross made it even more significant. As if the journal weren’t enough, he also picked out the perfect card from Smock Paper. We are big Yellow Jacket fans, so it was a little nod to how we met and our love of rooting for Georgia Tech! I now keep the pretty card with the sweet words right in the back of my journal. I love the texture on the card and the fact that it isn’t a waste of a piece of paper. 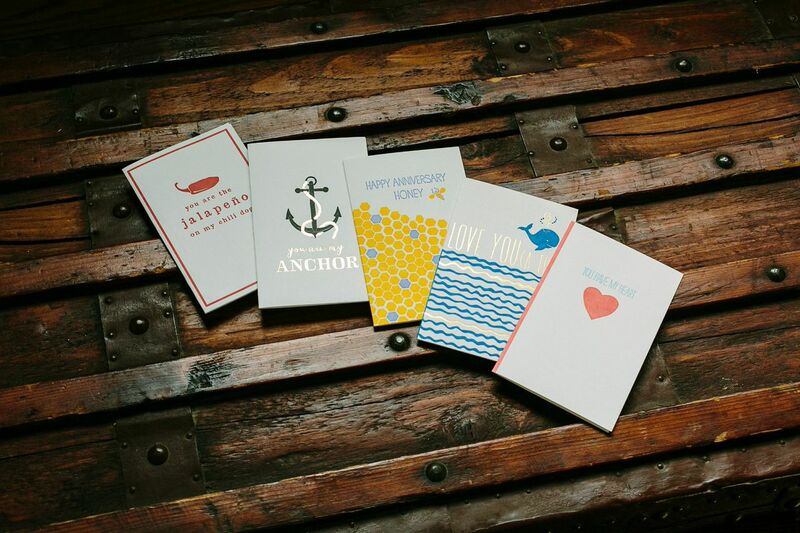 But honestly, this card is too pretty to keep to myself so I have partnered with Smock Paper to gift a set of love letters to one of our followers! There are two chances to win here! The first winner will get a set of the cards above from their Love line. 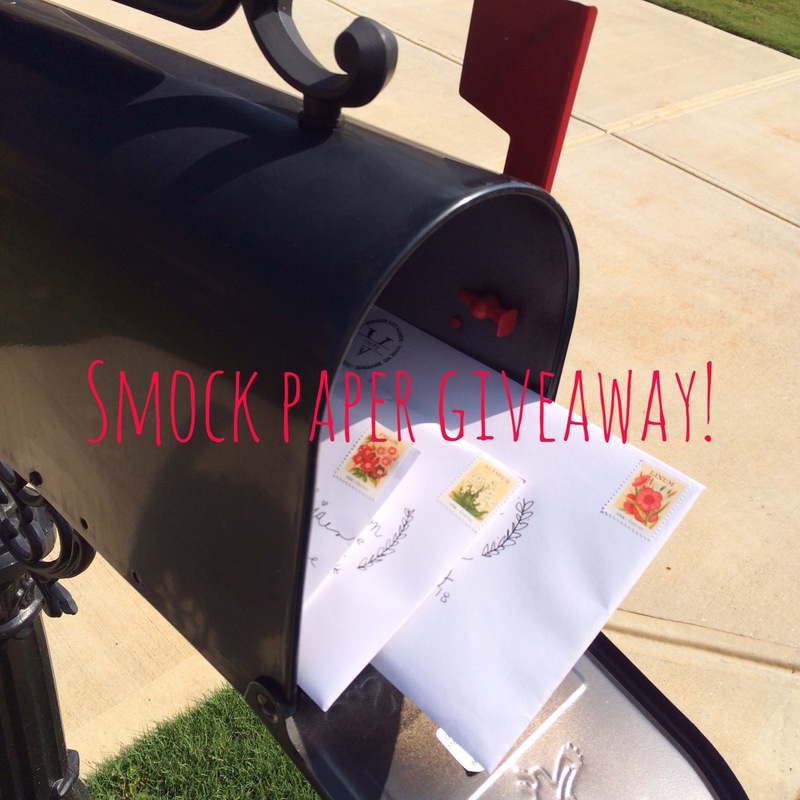 For the second winner, you will get a set of Smock Paper’s new love gift tags. 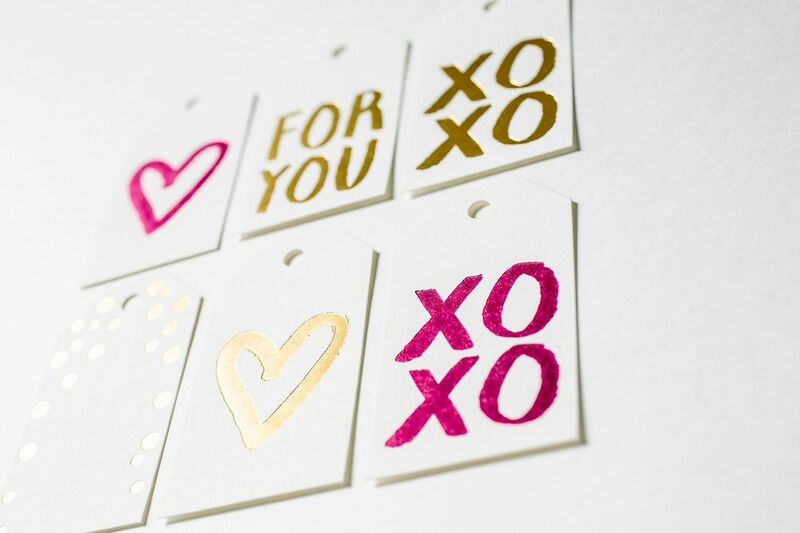 They feature hot pink + gold foil – I die! I couldn’t be more excited, especially since gifts are always more fun when made a little fancier. Here’s how to win: 1. Head over to Instagram and like @mandyandconner and @smockpaper. Contest ends 9/26/14 at midnight. This entry was posted in Married Life and tagged 3 years, anniversary, card, married life, Paper, words of affirmation. Bookmark the permalink. Do we need to report about it here? I followed you both on instagram – I also tagged two people on your fall bucket list photo on instagram. I don’t know how to repost on instagram, so I will have to skip that entry. Thank you velezita and all who entered. We announce the winners over on the Instagram post. We appreciate you participating!